← Thank you for my ‘You have been blessed’ award! 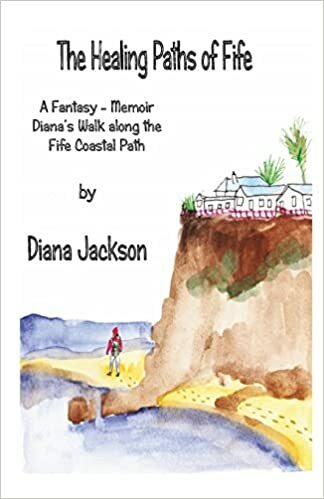 met Rachel Lewis at what has become known as The Albion Writer’s, a select group who meet at The Albion Pub in Ampthill, Bedfordshire. Rachel was already writing published articles and she was dabbling in fiction. She has a bubbly, warm personality and at the time she seemed to be on a strict, no alcohol diet. I do remember wondering why this slim young lady was putting herself through all this, and it was only as we got to know her better that she opened up to us as to why. In fact she had an article written about her in a popular women’s magazine. “The last twenty years of my life has been about repeated attempts to lose weight. Some attempts were more successful than others but for most of the last ten years, I have been somewhere between 17 and 18.5 stone (240-260lbs). Did I want to lose weight? Every day. Could I do it? Could I heck! It was only when I was diagnosed with sleep apnoea that I truly understood how my weight profoundly impacted on my quality of life. What was given to me to manage the condition meant that that finally, things got desperate enough for me to do something about it. REALLY do something about it. In April 2010, after being referred to the Sleep Centre at PapworthHospital, I was diagnosed with sleep apnoea. This condition is where your airway collapses while you sleep, so your body is starved of oxygen, goes into panic mode and wakes you up. You never get a good night’s sleep and having suffered with it for pretty much the last ten years, it’s a bit like being a walking zombie. I’d be exhausted by 10am and never woke up feeling refreshed. I’d regularly drop off back to sleep for several hours in the afternoon and struggled to have the energy to do anything. Although sleep apnoea in some people is a physiological condition, by and large most people who are affected are overweight. It’s the excess weight around your neck that causes the problem. When you relax and try to sleep, the excess weight presses down on your airway and it closes up. Sleep tests at Papworth discovered that I stopped breathing eight times an hour and to stop that happening, they issued me with a CPAP machine (Continuous Positive Airway Pressure). This device delivers air under pressure into your nose and mouth, keeping your airways open and you apnoea free. That’s the good news. The bad news is that you’re going to look like Darth Vader while you’re wearing it and you’re also going to be attached to this thing by a metre-long flexible pipe. 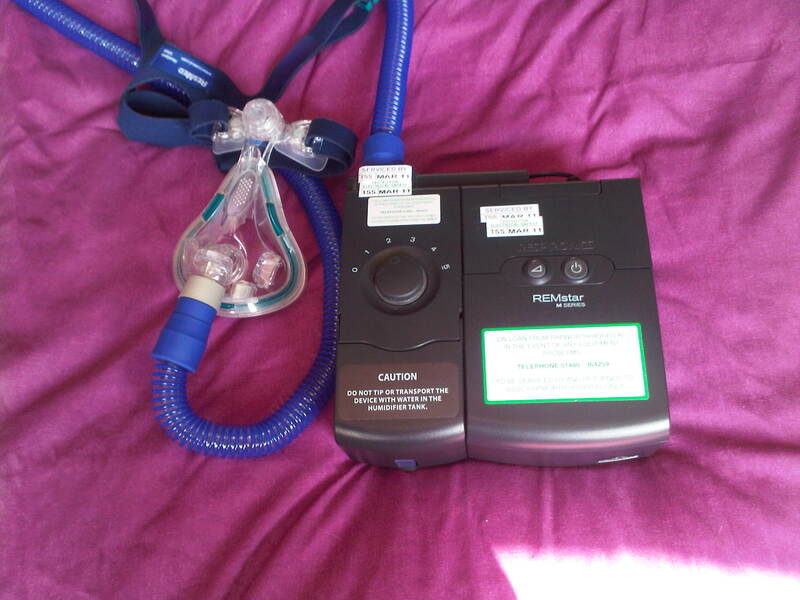 I was issued with the CPAP in July 2010 and by the November I’d had enough. I hated sleeping with it on and I could no longer kid myself that my excess weight wasn’t a problem. I was miserable and I desperately wanted to do something about it. To give myself a chance of being CPAP and sleep apnoea-free, I had to lose weight and so, in November 2010, I started on the Cambridge Weight Plan. I made the decision that nothing was going to get in the way of success this time; there was a real tangible benefit to my losing weight – getting rid of this wretched machine! When I meant nothing was getting in the way of it, I meant just that. Christmas came and went, so did Easter and I stuck resolutely to the plan and off came the pounds week after week. 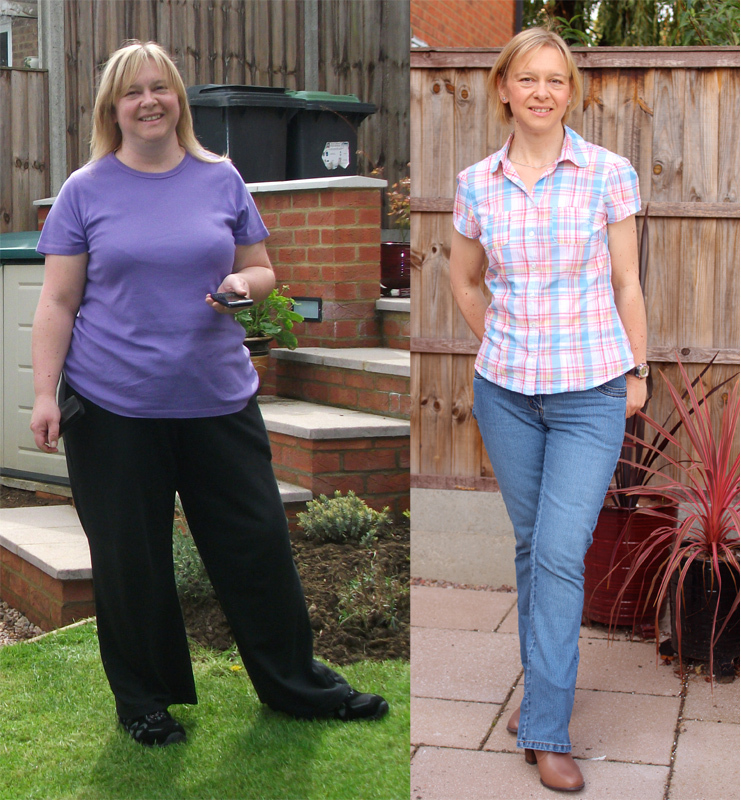 At the time of writing (July 2011), I have reached my target weight of 9st 7lbs having lost 7 stone 4 lbs (100lbs) using Cambridge Weight Plan. At this point I suppose I should say that it was hard, but it wasn’t; it was ridiculously easy. It was easy to follow and motivation was high because I could literally see myself changing shape as the weeks went by! Also, my motivation to succeed was based on something tangible. Success meant that my quality of life would seriously improve. In April 2011, I attended a consultation at Papworth and got their agreement to be re-tested. That night, I recorded no apnoeas and the next day left the department without my CPAP, having handed it back and been discharged from the Sleep Centre. It is still early days for me, but the freedom to sleep without having something that feels like Darth Vader’s mask on your face is wonderful. So many good things have happened in the last year, some as a result of the physical weight loss but others as a result of the emotional weight loss that has also been part of the experience. I have confidence where I had none, and I have ambitions where I had previously given up hope. In the end, what did it for me was having that crystal clear goal of WHY I was losing weight. It wasn’t about vanity; it was about my quality of life. I’d encourage anyone to identify that clear goal, whatever it is and go for it! Postscript: I wrote the post above in October 2011. At the time of writing it’s November 2013, a full two years on. It’s at this point perhaps someone confesses that they’ve piled all the weight back on again. Well, no I haven’t, but I have ‘stabilised’ at a place where I’m happy – where I can enjoy food and wine and not make myself a slave to the bathroom scales. I’m a stone heavier (14lbs) than my goal weight of 9st 7lbs and I feel that this is a more realistic place for me to be. I am still careful about what I eat but that’s for different reasons now. Weight loss on the scale I had, leaves you with after effects – a great deal of excess skin. Having successfully maintained my weight for 2 years, I applied to the local Primary Care Trust to consider my application for an ‘Inverted T’ abdominoplasty. Because this excess skin was causing problems when I exercised and became chronically infected through the summer months, it was judged to be a valid case and funding for the surgery was granted. I had the surgery in May 2013 when a large section of my abdomen was removed, along two cuts which extend from the base of my bra downwards and then laterally in an incision that extends from hip to hip. This is not minor surgery and it isn’t surgery you have done to get a ‘bikini body.’ Bikinis are not me, full stop. Six months on and it’s mostly OK apart from being completely numb across my lower abdomen. That was expected and it’s no big thing. I now HAVE to keep my weight stable because I don’t have any excess skin left to expand into. It’s not my clothes which get too tight if I overeat now – it’s my skin! I know Rachel would agree with me when I say that this time has not just been about her physical change but other developments in her life. It is wonderful that her increase in confidence and self esteem has led to some other ‘I can do it’ moments in her life and I am looking forward to seeing how her writing life develops and wish her luck. Gallery | This entry was posted in A Message, Here and Now, Life and Hope and tagged confidence, CPAP machine, dangerous sleep condition, diet, health implications of being overweight, I can do it, resolution, self esteem, sleep apnoea. Bookmark the permalink.